This week I opted for the less artsy photo for one with a slightly better story. 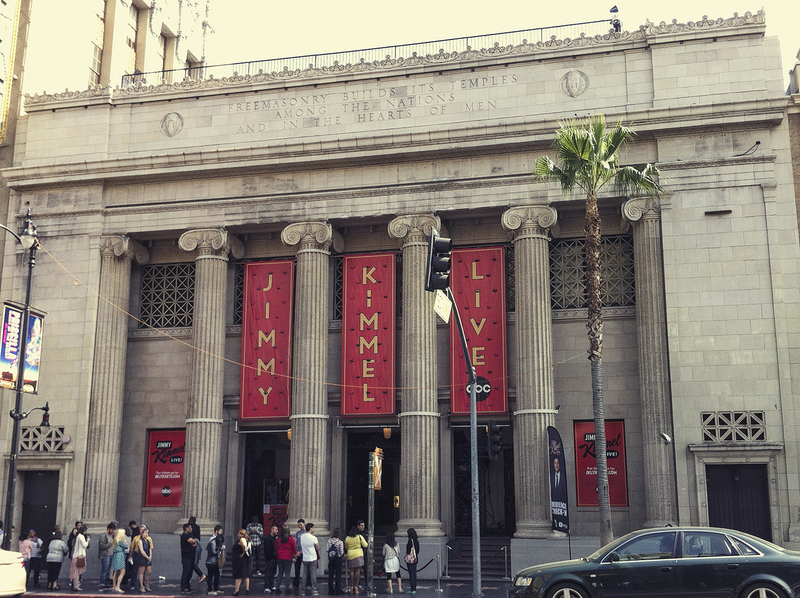 😉 Andy and I went to our first taping of a show, Jimmy Kimmel Live. It’s not actually broadcast live anymore, but it is right on Hollywood Boulevard, so we had plenty to look at while we stood in line. Waiting and forced applause aside, we got to see the studio and some great celebrities – It was a pretty cool experience!